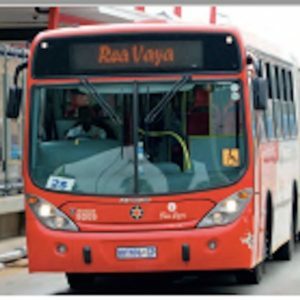 This paper, “The equity impacts of BRT: a review of the evidence” (Venter, C., Jennings, G., Hidalgo, D. & Pineda, A. F. V), published in International Journal of Sustainable Transportation, offers an analysis of empirical evidence on the equity impacts of operational Bus Rapid Transit (BRT) systems in the Global South. The focus is on vertical equity, i.e. whether BRT systems achieve progressive benefits for poorer segments of the population. Findings from Africa, Asia and Latin America all suggest that BRT does offer significant benefits to low-income groups, in terms of travel time and cost savings, access enhancement, and safety and health benefits. However benefits are often skewed towards medium-income users and thus less progressive than they might be. Two primary reasons for this are insufficient spatial coverage, and inappropriate fare policies. While many features of BRT potentially allow it to deliver pro-poor outcomes, such outcomes only materialise if BRT implementers pay specific and sustained attention to equity. The paper identifies key issues that need to be addressed to steer BRT implementation towards more socially sustainable outcomes, critical amongst which is to improve integration with other transit, paratransit, and non-motorised transport services, and with the housing sector. CITATION: Venter, C., Jennings, G., Hidalgo, D. & Pineda, A. F. V. The equity impacts of bus rapid transit: a review of the evidence and implications for sustainable transport. International Journal of Sustainable Transportation. DOI: 10.1080/15568318.2017.1340528.